Live in a Vacation! 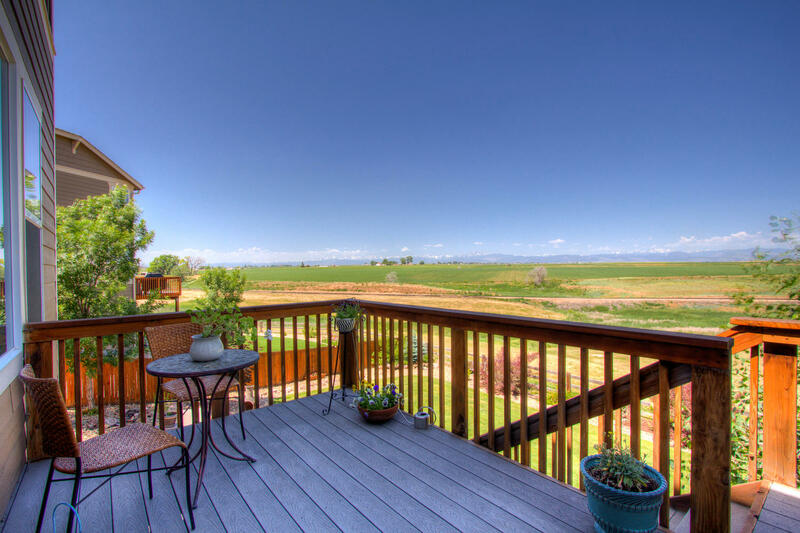 As far as the eye can see enjoy Panoramic Mountain views ON THE RIDGE, BACKING TO HOA protected OPEN SPACE! Nestled on a CUL DE SAC, this Oversized lot features nearly 1/4 of an acre of land, a full WALK-OUT Basement and head to toes WELL APPOINTED with Beautiful finishes! Slab Granite in kitchen and Master Bath, full glass tile backsplash in kitchen, Back Gourmet Kitchen appliances with GAS cooktop, Double wall convention ovens, 42inch Maple Sable Cabinetry with roll-out shelving, large center island, spacious breakfast nook with bay window. Solid Oak hardwood flooring, Cozy Family Room with a gas fireplace and art niche, highlighted with large picture windows that show off the Unobstructed front range Mountain views! Plenty of options and versatility with the Oversized 2nd floor family room, Jack & Jill bath, Convenient 2nd floor utility room (with plumbing rough-in for a utility sink), Expansive Owner’s suite – just situated perfectly in front of the breathtaking Mountain views! Full 5 piece luxury master bathroom dressed with beautiful custom tile work and spacious walk-in closet. 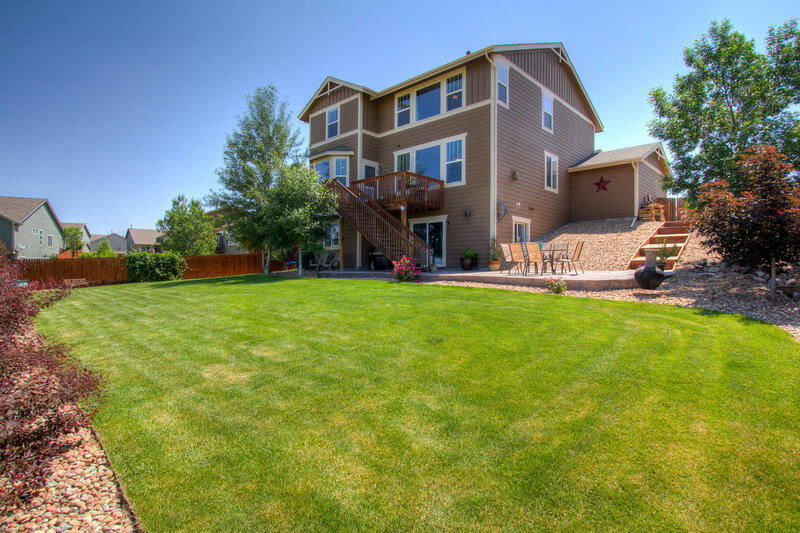 This Outdoor Oasis – features a Massive concrete patio, full fenced oversized backyard with perennials abound, sprinkler system and drip and don’t miss the backyard water feature to the south! Convenient TREX/composite decking. Convenient Main floor guest suite & 3/4 bathroom. Unfinished full Walk-out Basement has plumbing rough in too. Professional established landscaping. High Efficiency furnace, central A/C, 50 gallon hot water heater. Sellers prefer a 2 week lease back/Post-Occupancy Agreement after closing. 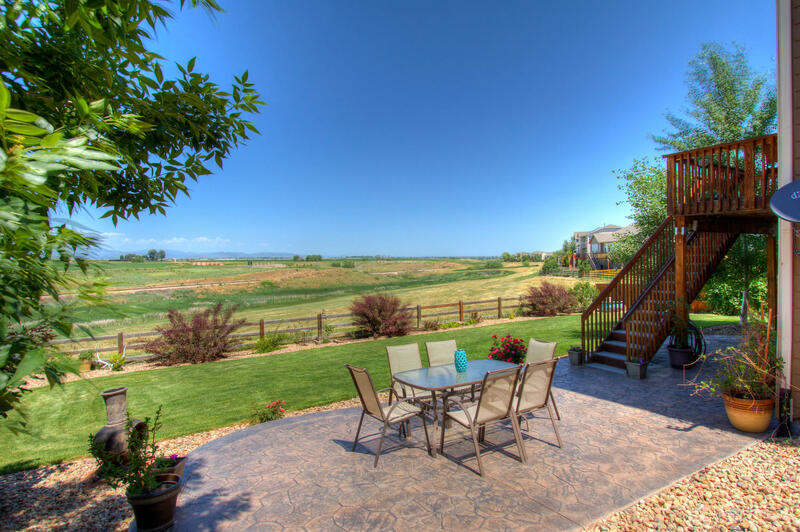 HOA is $90/Quarterly and covers open space maintenance and management.